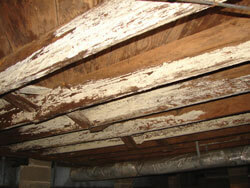 Wood Rot and Mold (as shown above) are often discovered during Crawlspace Inspections. The homeowner is often not even aware that these problems exist right underneath their feet! Crawl space inspections are an important part of annual homeowner maintenance and an extremely important part of pre-listing home inspections and pre-purchase home inspections. If you’ve read the series of articles that we’ve posted on our website, hopefully the one on wood rot hit home, because this is a problem we (inspectors) sometimes find inside crawl spaces. Water leaks that go undetected, water seepage that ponds inside this area from heavy rains or frequent sprinkler system use, or just plain-ole, hot-humid crawl space ventilation-there are many causes of humidity build-up inside the crawl space and the colonization of different types of fungi that voraciously feast on the scrumptious wood floors that support us. In due time, if left undetected, the floors may begin to sag or bounce and the walls/ceilings start to crack. This usually prompts someone to crawl beneath the home where unfortunately, at this stage, the problems are often severe and expensive to correct. This type of problem could naturally be avoided if crawl space inspections were performed more often, at least once per year. Our crawl space inspections come with a printed report complete with photos and explanations of problems found. 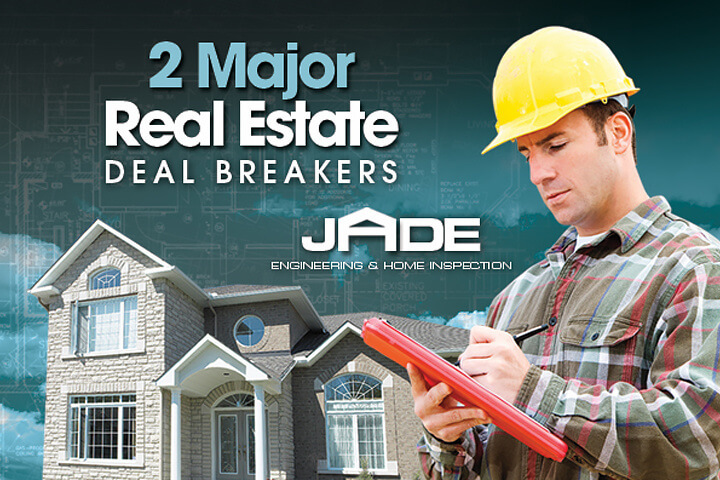 Contact us today for a pre-listing home inspection or crawlspace inspection so you don’t get caught with these major real estate deal breakers.